The first part of this research on the genetic admixture and transplantation of populations of Mexico was initiated in 1968 and completed in 1975. Field research on Tlaxcaltecans was conducted in the State of Tlaxcala (San Pablo del Monte and the City of Tlaxcala) and transplanted populations in the Valley of Mexico (Cuanalan) and in the State of Coahuila (Saltillo). For a summary of these investigations see: Crawford, M.H. 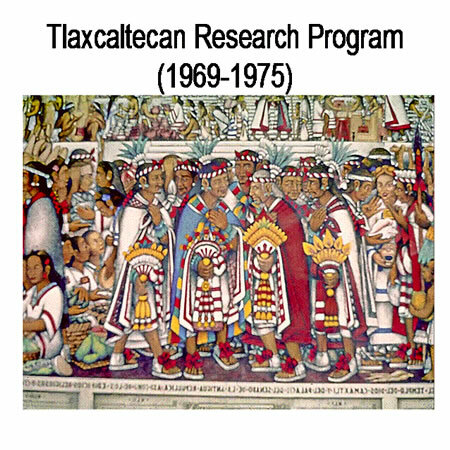 1976 The Tlaxcaltecans, Prehistory, Demography, Morphology and Genetics.Publications in Anthropology #7, University of Kansas. From 1975-1982, we conducted field investigations on the genetic structure and origins of Black Caribs (Garifuna) of St. Vincent Island, Livingston, Guatemala, and Belize (Dangriga, Punta Gorda and Belize City). The genetic, historic and demographic research revealed a unique history of an evolutionary success story—a small group (fewer than 2,000) from St. Vincent colonized much of the coast of Central America. From 2005 to present, a follow up study using DNA markers was conducted by Christine Krawczak for her Ph.D. dissertation in the KU Genetics Program. 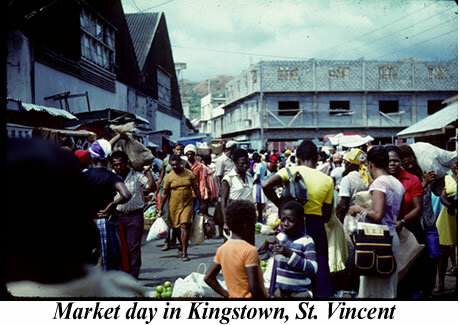 Garifuna of St. Vincent Island and Belize were sampled, along with the Native population of Dominica. Christine will be defending her dissertation in the Fall semester 2008. New Research: In 2007, an agreement was signed between the School of Biology, University of Costa Rica (UCR) and the Laboratory of Biological Anthropology (LBA) for a joint study of the origins and the genetic structure of Central American indigenous populations. A delegation (sponsored by the International Studies Program at the University of Kansas) visited San Jose and a Guaymi community on the Panama border, to develop a long term research program. With the support of General Research Funds from K.U., doctoral candidates Phillip E. Melton and Norberto Baldi-Salas conducted field investigations during November 2007 in Nicaragua with Rama indigenous communities. They have organized a symposium on “Estructura Genetica y Migracion de las Poblaciones Indigenas de Centro y Sur America,” for the II Congress Latino Americano de Antropologia Desdo la Antropologica Genetica,” July 28-31st in San Jose, Costa Rica.. Through the support of the Provost’s Office at the University of Kansas, an International Consortium was established to study genetic/environmental interactions among strains of Mycobacterium tuberculosis, the immune system of the human host, and environmental risk factors (such as nutrition, smoking, household composition, occupation) that contribute to the complex phenotype of tuberculosis infection. The International Consortium for the Study of Tuberculosis (ICST) was established in 2006 at a meeting in the University of Arizona, Tucson, Arizona. This consortium is situated in the LBA and consists of tuberculosis researchers, anthropological geneticists, microbiologists, physicians, epidemiologists from the University of Kansas (Lawrence campus and Medical Center, Kansas City), University of Arizona, University of Texas-El Paso, University of Chihuahua, Southwest Foundation for Biomedical Research, Texas Department of State Health Services, Kansas State Department of Health, Complutense University of Madrid, Spain, Sakha Health Department, Russia. A workshop on the clinical manifestation of TB, organized by Dr. Luis Escobedo, was held in El Paso on August 22 and 23rd, 2007. This workshop was a huge success and was followed by a meeting of the ICST on August 25 in the City of Chihuahua, Mexico. At that meeting, a memorandum of agreement was signed between the Mexican Consortium and ICST, for an ongoing research collaboration. Field investigations have been initiated by Drs. Bart Dean and M.J. Mosher in the summer of 2008 on the assessment of environmental factors that influence genetic susceptibility to tuberculosis. This research program was begun in 1977 in Alaska with Yupik and Inupik Eskimos of St. Lawrence Island, King Island and Wales, Alaska. The relationship between genetics and language barriers was first examined between Yupik and Inupik groups. The allelic frequencies from Alaskan populations were compared with those found in indigenous Siberian ethnic groups. In 1989, with perestroika and the disintegration of the Soviet Union, field investigations were begun in Central Siberia with Evenki reindeer herders and Ket fishermen and hunters. The final phase of this research started in 1999 and continued for the next decade with the sampling of all eleven populated islands of the Aleutian Archipelago and compared to indigenous populations of Kamchatka and Alaska. For a discussion of the field investigations by the LBA, see: Crawford 2007 Anthropological Genetics: Theory, Methods and Applications. Cambridge University Press, pp. 79-111.